After receiving a variety of planks Henry was faced with the dilemma of designing something that could make use of small sectioned material. After cutting a number of square blanks and then gluing a number of pieces together in pairs, an idea started to emerge. The Red Mahogany base was rescued from a library renovation and vegetable oil finished. 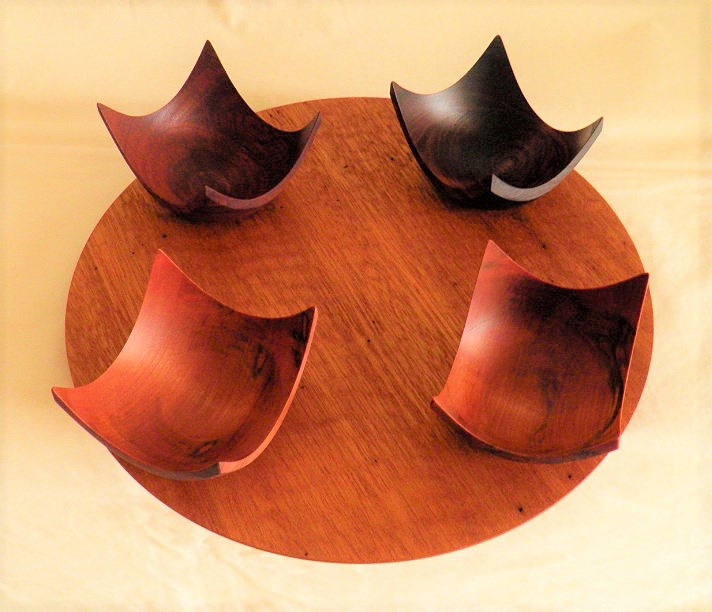 The square bowls are finished in linseed oil. Both are suitable for serving food.